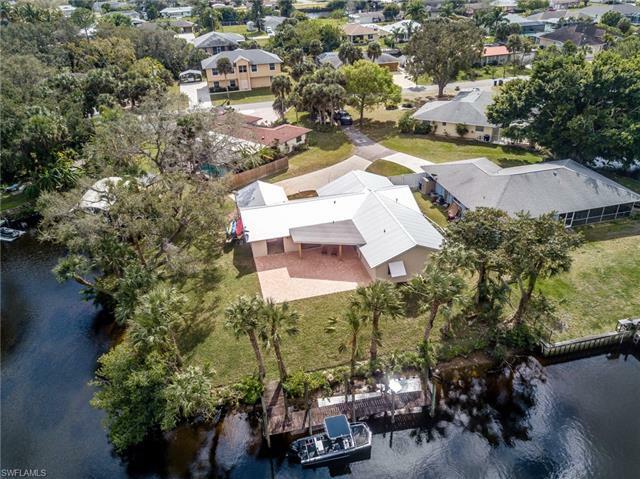 New metal roof installed January 2019! 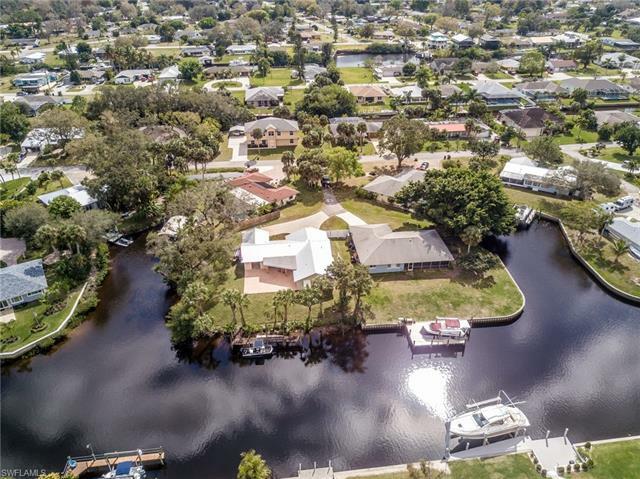 A boaters dream home awaits new owners! 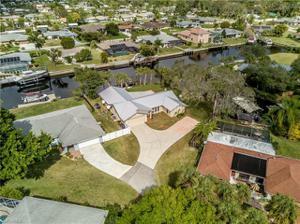 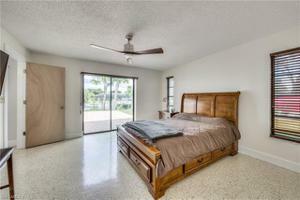 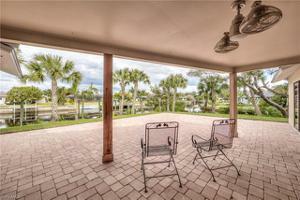 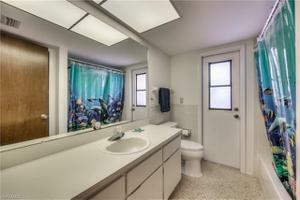 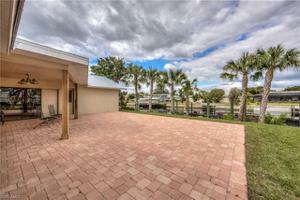 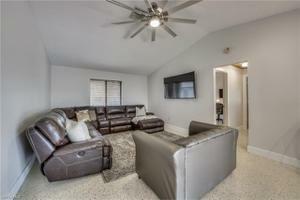 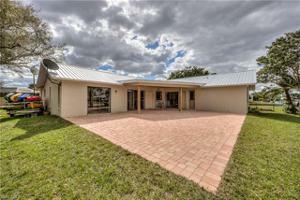 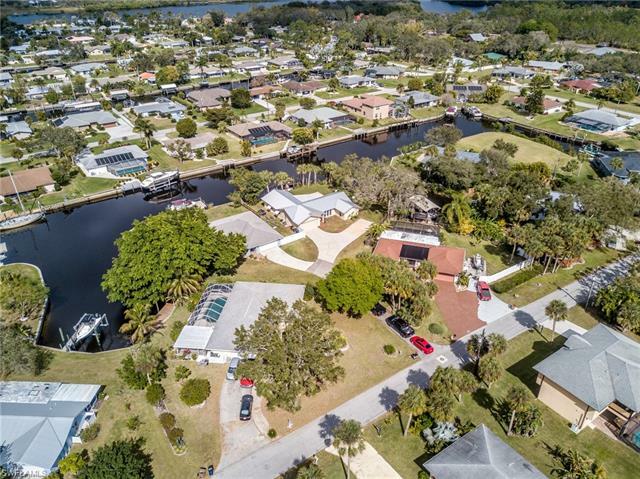 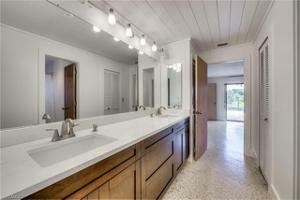 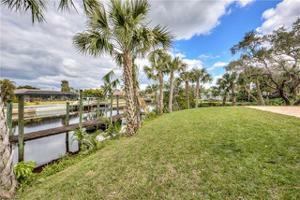 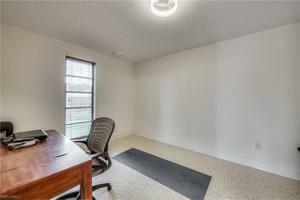 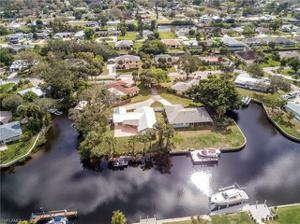 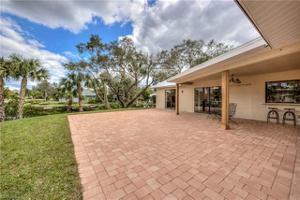 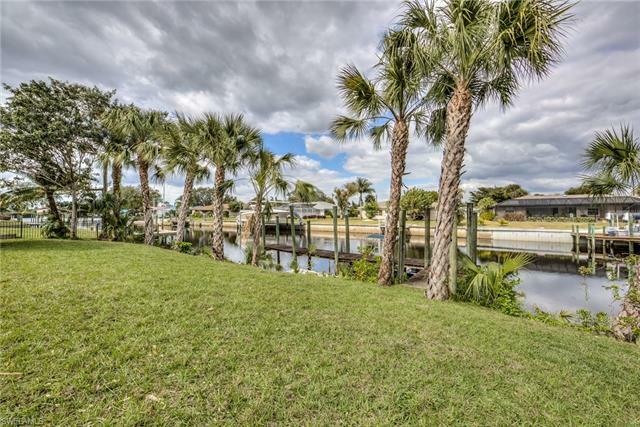 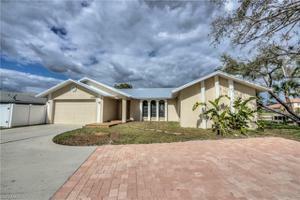 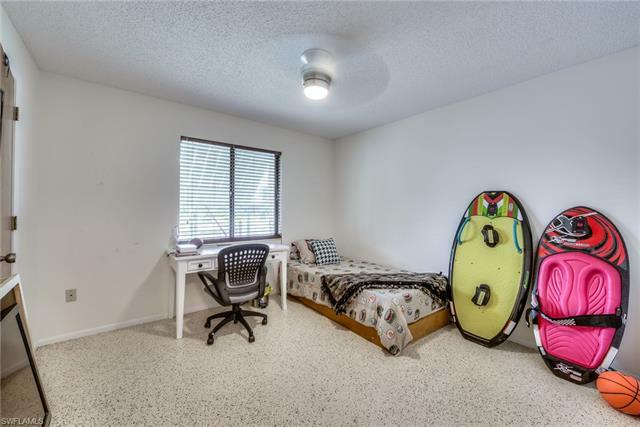 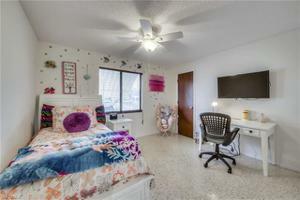 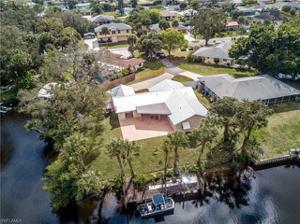 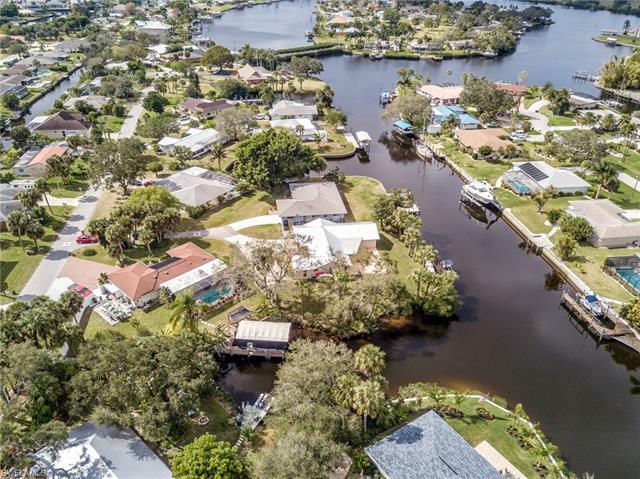 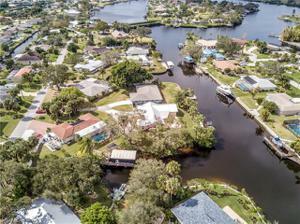 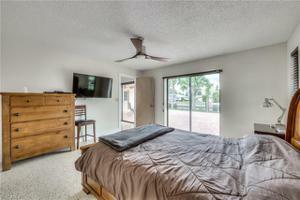 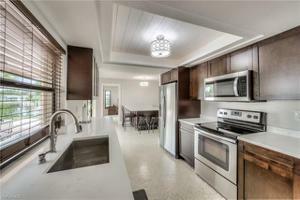 Oversized corner lot situated on intersecting canals with easy access to the Caloosahatchee River and Gulf of Mexico. 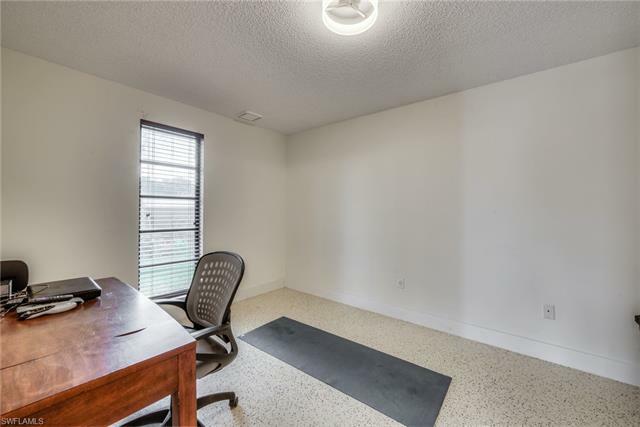 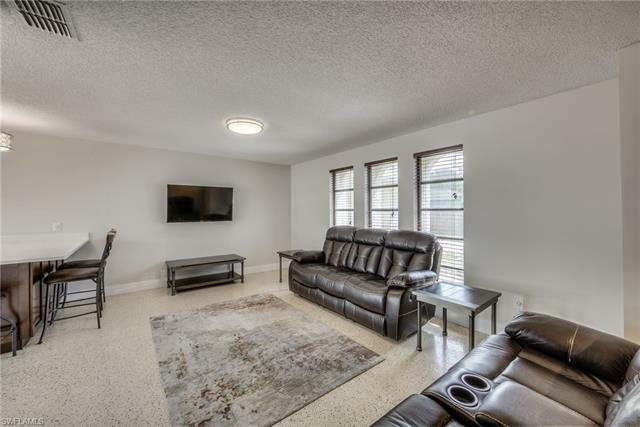 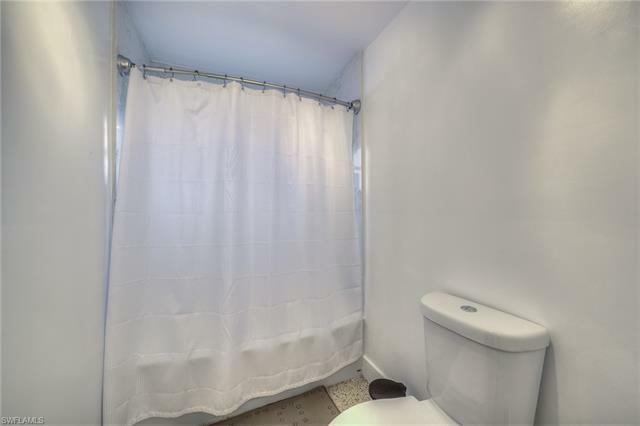 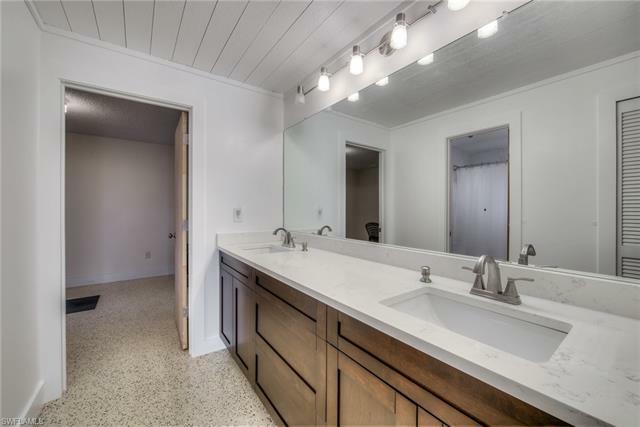 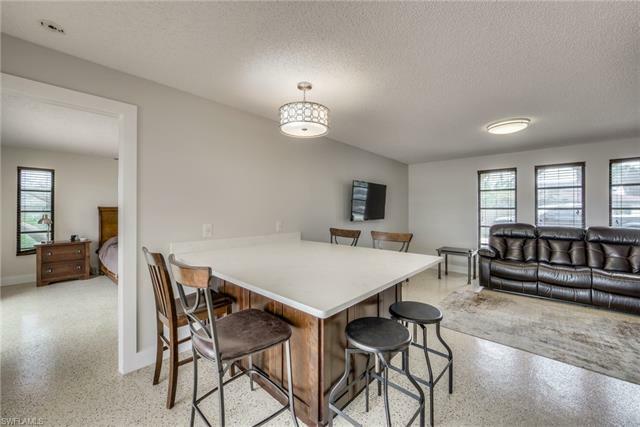 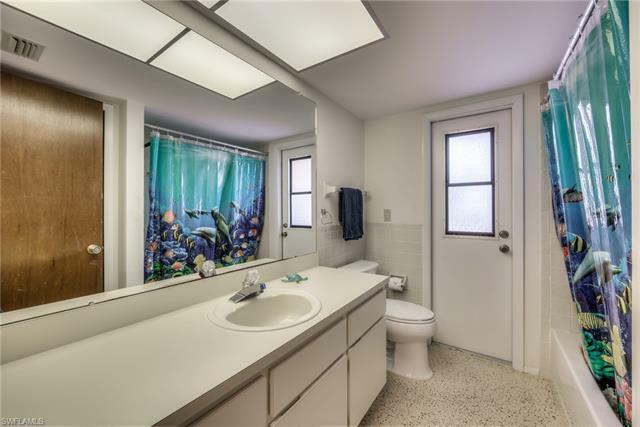 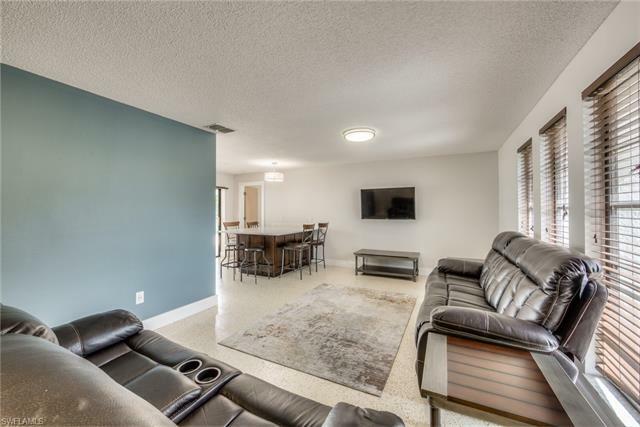 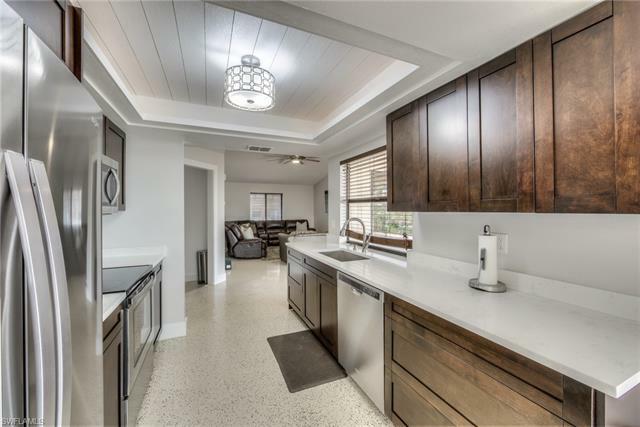 Newly remodeled and updated with modern finishes offering 3 bedrooms + den attached to master bedroom, 2.5 baths & 2 car garage. 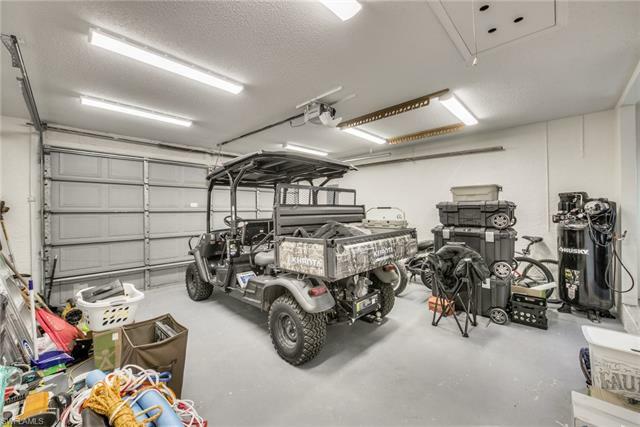 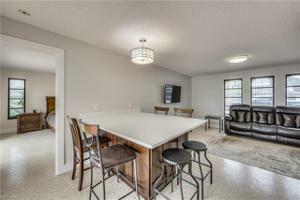 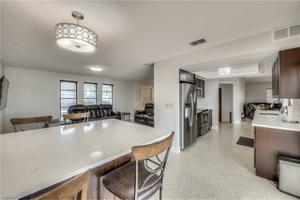 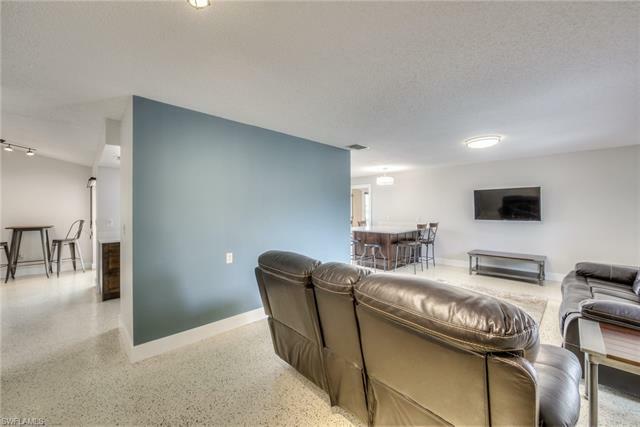 Epoxy flooring throughout, 2 separate living areas allow for plenty of entertaining and family space. 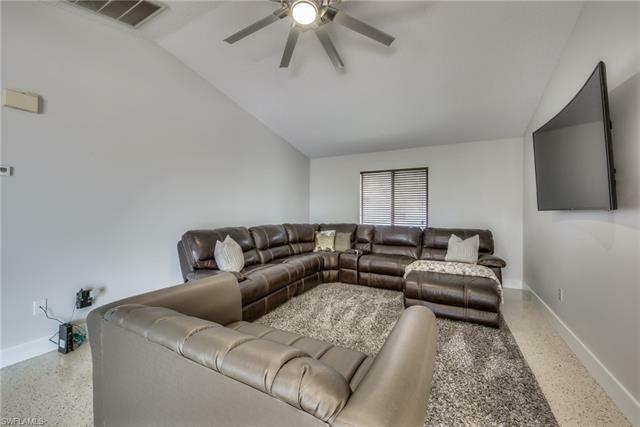 Large family room with vaulted ceiling next to kitchen. 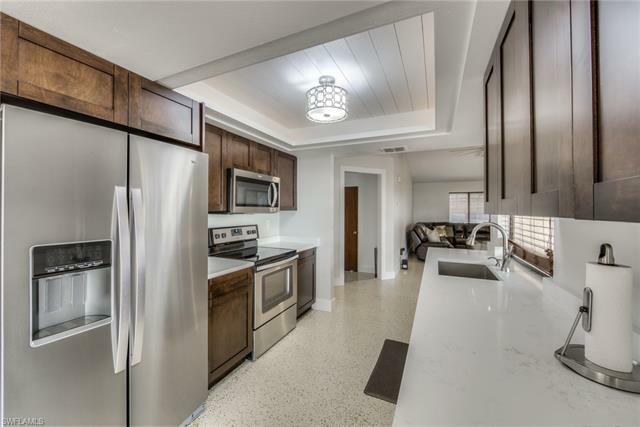 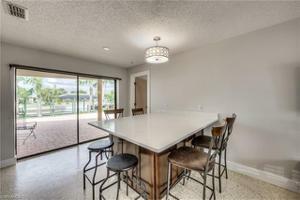 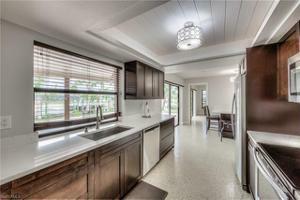 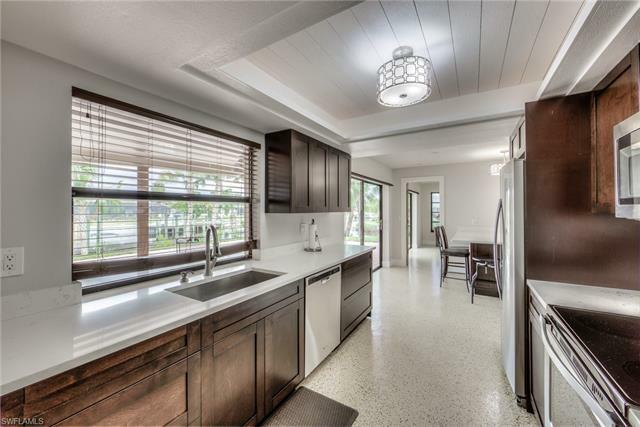 Kitchen features quartz countertops, dark wood cabinets with soft close drawers and stainless appliances & kitchen pass through window to lanai. Large built in quartz kitchen/dining table. Master bedroom has a slider that leads to the rear lanai and attached bath has quartz counters with dual sinks and tub/shower combination with quartz on walls. 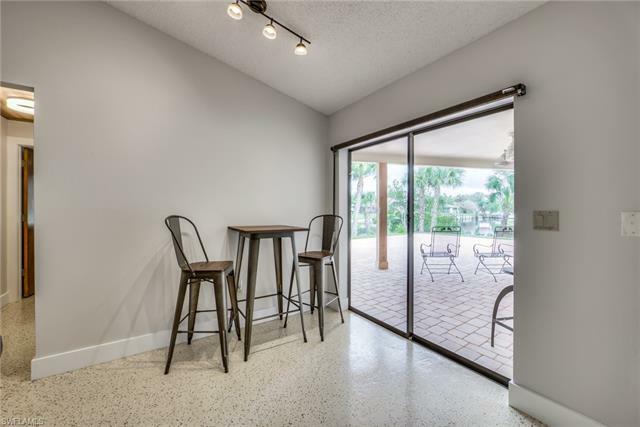 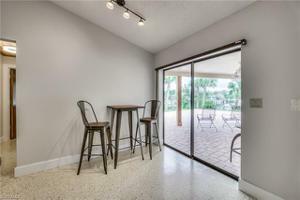 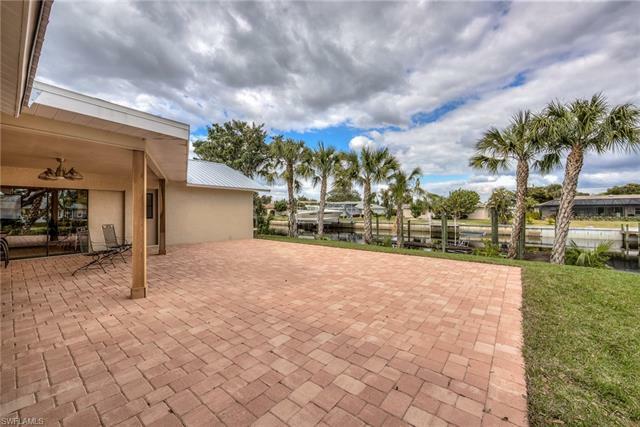 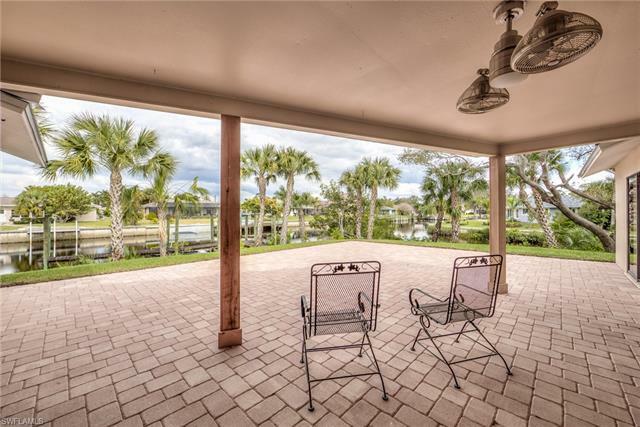 Pocket sliding doors off both family and living room lead to beautiful expanded paver lanai which is perfect for enjoying all that Southwest Florida has to offer. Fish right from your dock or take a short boat ride to Boathouse 31!